October has been a busy month and I’ve saved up a whole lot of things I want to share but for today, it’s Twilt Tuesday and since I was running out of time, I checked my UFO box and found this little piece. I just trimmed it up and put a binding on. 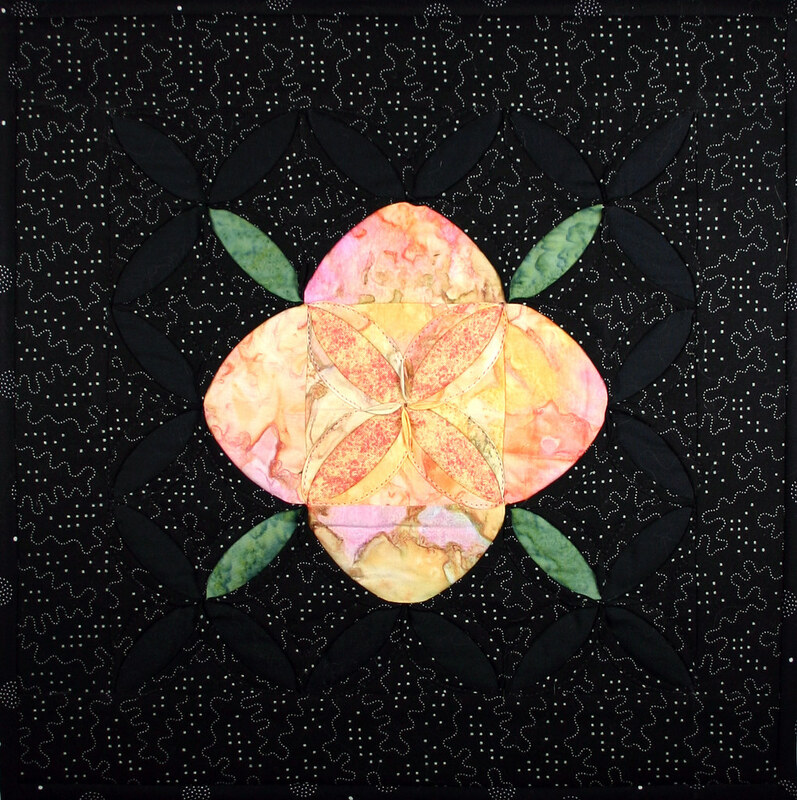 Midnight Blossom is a Cathedral Window Flower set inside more Cathedral Windows that are black on black . I did find out how difficult it is to photograph a piece with so much contrast. Do click on the picture and you’ll see the high resolution version on Flickr. My pattern that this Twilt is based on is called Sweet Strawberries. Check it out on the Pattern Page on my website. 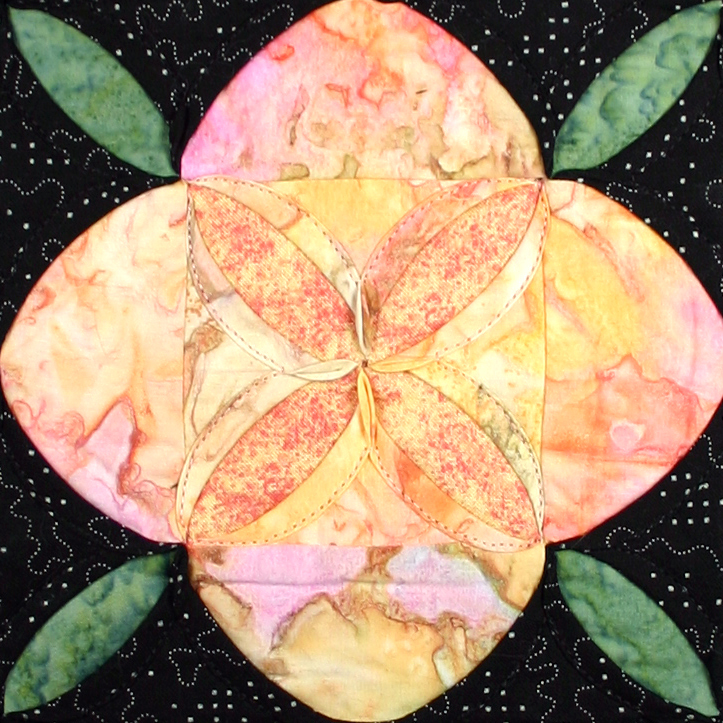 For more info on the Twilts: Twitter quilts…….Twilts or see all my Twilts : Flickr Twilts Page. I am welcoming October this first Twilt Tuesday with “October Sky”. 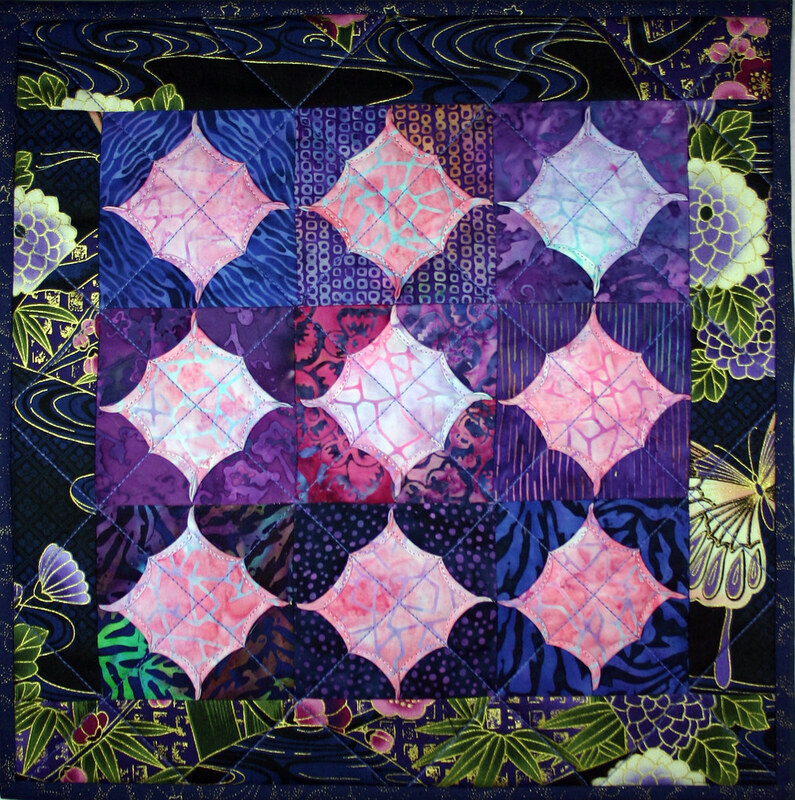 This Twilt features nine miniature Star Puzzle blocks in blue and purple batiks complimented by an Asian print border. Each block is a three-dimensional square like the knot of a 3D Bow Tie block. The edges of the square are bias so after stitching diagonally through all the squares I rolled and stitched the folds into curves.